LMA indicates laryngeal mask airway; NG, nasogastric; and RCT, randomized clinical trial. LMA indicates laryngeal mask airway. Wells GA, Shea B, O’Connell D, et al. The Newcastle-Ottawa Scale (NOS) for assessing the quality of nonrandomised studies in meta-analyses. Ottawa Health Research Institute. http://www.ohri.ca/programs/clinical_epidemiology/oxford.asp. Accessed July 20, 2013. Minocchieri S, Berry CA, Pillow J. Nebulized surfactant for treatment of respiratory distress in the first hours of life: the CureNeb study. Abstract presented at: Annual Meeting of the Pediatric Academic Society; May 6, 2013; Washington, DC. Session 3500. Importance Surfactant administration by minimally invasive methods that allow for spontaneous breathing might be safer and more effective than administration with endotracheal intubation and mechanical ventilation; however, the efficacy and safety of minimally invasive methods have not been reviewed. Objective To conduct a meta-narrative review of the efficacy and safety of minimally invasive surfactant administration using a thin catheter, aerosolization, a laryngeal mask airway, and pharyngeal administration in preterm infants with or at risk for respiratory distress syndrome. Data Sources We searched the PubMed, EMBASE, Cochrane, and CINAHL databases, published journals, and conference proceedings from inception to June 30, 2013. Study Selection Randomized clinical trials or observational studies of preterm infants who were given surfactant for respiratory distress syndrome by minimally invasive methods. Data Extraction and Synthesis An overall meta-narrative review was conducted encompassing the evolution of noninvasive surfactant therapy. Risk ratios and 95% confidence intervals are reported when appropriate. Main Outcomes and Measures Chronic lung disease diagnosed by the need for oxygen therapy at a postmenstrual age of 36 weeks, need for mechanical ventilation within the first 72 hours of birth, need for mechanical ventilation any time during the hospital stay, and adverse events associated with administration of surfactant by various methods. Results We included 10 studies (6 randomized and 4 observational) of 3081 neonates. Thin catheter administration was evaluated in 6 studies (2 randomized and 4 observational); aerosolization, in 2 randomized studies; and laryngeal mask and pharyngeal administration, in 1 observational study each. The meta-narrative review confirmed the slow evolution and challenges of the different modes of administration, with thin catheter administration being the most studied intervention. Two randomized studies of surfactant administration using a thin catheter revealed no significant difference in the outcome of bronchopulmonary dysplasia but a potential reduction in the need for mechanical ventilation within 72 hours of birth when compared with standard care. Conclusions and Relevance Surfactant administration via a thin catheter may be an efficacious and potentially safe method; however, further studies are needed. Further studies are also needed for other methods of minimally invasive surfactant administration. To counter the effects of mechanical ventilation and optimize benefits of early surfactant administration,8 the innovative approach of intubation, surfactant administration during brief mechanical ventilation, and extubation (the INSURE technique) was introduced by Victorin et al.9 This concept became popular.10,11 The INSURE technique, however, involves intubation with a brief period of apparent loss of spontaneous breathing by infants. Subsequently, less invasive modifications of the INSURE method for delivering surfactant to avoid even brief intubation and mechanical ventilation have been conceptualized, implemented, and empirically evaluated with the aim of reducing intubation-related complications and improving the success of nasal CPAP after surfactant administration. These modifications include intratracheal surfactant instillation with the help of a thin catheter (eg, nasogastric tube or vascular catheter),12-17 aerosolized administration,18-20 pharyngeal administration,21 and laryngeal mask airway (LMA)–guided administration.22-24 All of these techniques have the underlying premise of administering surfactant while maintaining spontaneous breathing but have produced variable success. Many centers around the world have adopted some of these practices based on preliminary results. Our objective was to perform a meta-narrative review encompassing the conceptualization, implementation, and evaluation of the efficacy and safety of minimally invasive methods of surfactant administration in preterm infants with or at risk for RDS with the potential for meta-analysis of studies comparing similar interventions. The INSURE technique has been well studied in a Cochrane review by Stevens et al25 and moreover involves brief loss of spontaneous breathing, so it was not included in our meta-narrative review. We used the method described by Greenhalgh et al26 to conduct this meta-narrative review27 and planned traditional methods for conducting meta-analyses when appropriate. This method is used when various techniques or interventions on a theme have been conceptualized differently and has been studied by different research groups over time.27 In this meta-narrative review, we sought to identify and evaluate different techniques of surfactant administration while the infant is breathing spontaneously and then to synthesize them by means of an overarching narrative. Review of search, study selection, data extraction, risk of bias assessment, and analyses were performed by two of us (K.M. and P.S.) independently, and discrepancies were resolved by discussion and arbitration by the third author (P.S.S.). After extensive discussion, we developed and finalized search terms in consultation with an experienced librarian. Initial searches were led by prior knowledge, content experts’ publications, and review of nonsystematic reviews. We searched the PubMed, EMBASE, Cochrane, and CINAHL databases from inception until June 30, 2013. We used database-specific terms without language restrictions. The reference lists of identified studies, key review articles, and conference proceedings of the annual meetings of the Pediatric Academic Society (2008-2013) were searched (details are available in the eMethods in the Supplement). The next steps involved mapping the various approaches according to theoretical construct, concept development, and methodologic implementation. The following factors were central to the development of this phase. First, we considered the type of participants and interventions. We included studies of preterm infants (gestational age, <37 weeks) who received surfactant for RDS or received prophylactic surfactant because they were considered at risk for RDS. Surfactant administration for term infants was not included. Second, we considered the type of studies. We restricted this review to randomized clinical trials (RCTs) and observational studies with concurrent or historical controls. Case reports, case series, letters to editors, editorials, review articles, and commentaries were read to identify theoretical background, concept development, and progress but were not included in the synthesis. Duplicate reports were excluded. Third, we considered outcomes, including efficacy and safety. Efficacy outcomes included BPD or chronic lung disease diagnosed by the need for oxygen at a postmenstrual age of 36 weeks and the need for mechanical ventilation within the first 72 hours of birth. Safety outcomes included adverse events during interventions, such as bradycardia, desaturation, apnea, pneumothorax, and pulmonary hemorrhage. We extracted data on conceptual modeling, theoretical construct, and implementation strategies in the form of study design, patient characteristics, and outcomes. We contacted the principal authors of studies included in this review for clarifications and/or additional data when needed. Two methods of synthesis were applied. First, a narrative account of each method of surfactant administration was described. This description included detailing the historical aspects of each method, eventual concept modifications, and later comparative evaluations. This narrative was used as the main frame of this review. Second, a quantitative summary was planned as traditional meta-analysis in the absence of significant clinical heterogeneity. Because conceptual and methodologic differences exist between RCTs and observational studies, we did not combine information from RCTs and observational studies in a single statistical analysis. This hybrid method allowed for exploration of the full spectrum of the underlying construct of minimally invasive surfactant administration. The results of the literature search, the study selection log, and the number of studies are reported in Figure 1. The baseline characteristics of the 10 studies selected12,14,16-18,30-34 under each method of surfactant administration, which include a total of 3081 neonates, are described in Table 1. We excluded 20 studies, and the reasons for exclusion are given in the eTable in the Supplement. The timeline of the evolution of different methods of surfactant administration is described in Figure 2. The risk of bias assessment among the included RCTs12,16,18,32-34 and cohort studies14,17,30,31 is reported in Table 2 and Table 3, respectively. Most studies had low to moderate risk of bias (score, 6-8 of a total 10). Most bias stemmed from selection of control subjects and lack of adjustment for confounders. The results of our appraisal of the evolution and efficacy of the methods of surfactant administration of interest are described below. This method of less invasive surfactant administration by thin catheter or vascular catheter has been studied in 4 comparative observational studies14,17,30,31 and 2 RCTs12,16 included in our meta-narrative review, encompassing a total of 2631 neonates. In the included studies, surfactant was administered as rescue therapy after meeting predefined respiratory criteria except for the study by Klebermass-Schrehof et al,17 in which surfactant was administered prophylactically to all extremely premature infants (gestational age, 23-27 weeks)6 in the intervention group. Kribs13 compared outcomes after surfactant administration via a thin catheter with those of a historical cohort who received standard care. In the first study of 64 extremely low-birth-weight infants by Kribs et al,14 the investigators demonstrated the feasibility of using this new technique. They found no significant reduction in the need for mechanical ventilation or BPD. In a subsequent historical comparative study, Kribs et al30 described a significant reduction in BPD and the need for mechanical ventilation within 72 hours (Table 1). On the contrary, Dargaville et al31 reported a reduction in mechanical ventilation at 72 hours but no difference in BPD using the thin catheter technique. A slightly modified approach was used by Klebermass-Schrehof et al.17 They used high-flow CPAP delivered initially by facial mask followed by nasopharyngeal tube, followed in turn by administration of surfactant via a thin catheter inserted with help of laryngoscope and Magill forceps without any premedication. They reported significant reduction in mechanical ventilation at days 1 and 3 and in the first week of life but no significant difference in BPD between the study group and controls (Table 1). Two studies17,31 reported outcomes for extremely premature infants (gestational age, <28 weeks) and showed that thin catheter intervention can also be useful by reducing early need for mechanical ventilation, but no difference in BPD was identified. However, the number of infants with younger gestational ages described in these studies remains small. All 4 observational studies14,17,30,31 reported few episodes of bradycardia or desaturations during the procedure, requiring a temporary halt in the procedure or the use of positive pressure ventilation. The study by Dargaville et al31 was an exception, with episodes of bradycardia of longer than 10 seconds occurring in 39% of infants with gestational ages of 25 to 28 weeks. None of the studies reported any significant harm with any of the techniques. Two RCTs12,16 have evaluated the thin catheter intervention. Kanmaz et al16 compared the INSURE method with intratracheal surfactant administration using nasogastric tubing as a catheter in 200 preterm newborn infants. They described a reduction in the need for mechanical ventilation at 72 hours in the thin catheter group. The incidence of BPD was also relatively low in the intervention group (Table 1). Göpel et al12 compared the standard method of care with surfactant administration via a thin catheter in 220 very-low-birth-weight neonates with gestational ages of less than 29 weeks and reported a reduction in the need for mechanical ventilation in the intervention group. Kanmaz et al16 reported a significant reduction in the incidence of BPD (P = .009) in the intervention vs control groups; however, we could not reproduce the results from the numbers given in their study (P = .08). Because of apparent clinical heterogeneity between study groups and the method for selection for outcome assessment, we have not conducted a meta-analysis with these data. We presented them for comparative evaluation in eFigure 1 in the Supplement. Kanmaz et al16 reported that bradycardia and desaturation rates were similar in both groups in their study; however, they observed that surfactant reflux during administration via a thin catheter was significantly higher than in the INSURE group (21% vs 10%; P = .002). Twelve percent of infants had severe apnea lasting 20 seconds and bradycardia (<100 beats/min) requiring positive-pressure ventilation with a T-piece device during surfactant administration via a thin catheter. Göpel et al12 reported episodes of bradycardia and significant desaturation in 5% of the neonates in their intervention group. Aerosolized surfactant was evaluated in animal studies in the early 1990s; however, the first human study was published in 1997 by Jorch et al,39 who conducted an uncontrolled multicenter feasibility study in 20 infants. Since then, this method has been tested in 2 RCTs.18,32 Arroe et al40 conducted an uncontrolled observational study in preterm infants and demonstrated no benefits from nebulized surfactant. Finer et al41 conducted a feasibility study and suggested that aerosolized surfactant was well tolerated and might reduce the need for endotracheal intubation. No adverse effects were reported apart from transient desaturation. Berggren et al18 compared infants treated with aerosolized surfactant with control infants who did not receive surfactant and reported no difference in the need for mechanical ventilation or incidence of BPD. Minocchieri et al32 conducted an RCT of aerosolized porcine surfactant (Curosurf; Chiesi USA, Inc) vs CPAP alone and demonstrated a decrease in the need for intubation in the first 72 hours; however, they found no difference in the incidence of BPD. We found significant clinical heterogeneity among included studies with differences in study design, gestational age, specific surfactant products, and indication of therapy, so meta-analysis was not performed. In addition, the standard care mentioned in the control group varied between studies, as indicated in Table 1. The data from Kanmaz et al16 and Göpel et al12 were included for comparison but not for meta-analysis owing to clinical heterogeneity. We found no statistically significant reduction in BPD in both studies12,16 in which infants underwent analysis on an intention-to-treat basis (eFigure 1 in the Supplement). We caution that Kanmaz et al16 reported a treatment effect (P = .05) in favor of surfactant administration via a thin catheter, a result that we could not reproduce using the published numbers. Göpel et al12 reported the reduction in the need for mechanical ventilation from 25 to 72 hours of birth. Kanmaz et al16 described a significant reduction in mechanical ventilation within 72 hours of birth for the intervention group compared with the INSURE group (eFigure 2 in the Supplement). To our knowledge, this review is the first systematic meta-narrative to examine various minimally invasive methods of surfactant administration while maintaining spontaneous breathing in the preterm infant with or at risk for RDS. This review of 10 studies (a combination of RCTs and observational studies) indicates a growing interest in such methods of surfactant administration. Current evidence suggests that administration via a thin catheter is a feasible, potentially effective, and safe method of minimally invasive surfactant administration. Meta-analysis was not conducted in lieu of significant heterogeneity between studies. We found synchrony in the results from observational studies and RCTs for thin catheter use and neonatal outcomes. The thin catheter method may also be safe and effective in infants born at an extreme gestational age of less than 28 weeks. On the other hand, administration by an aerosolized, a pharyngeal, or an LMA-guided route was not shown to be beneficial to neonatal outcomes in a small series of studies. From the safety perspective, all described methods were well tolerated except for the occurrence of short-lasting events such as bradycardia and desaturations that reverted back quickly with minor interventions. Bronchopulmonary dysplasia described in the presurfactant era was mainly the consequence of barotrauma and the toxic effects of oxygen administration. Thus, approaches to minimize mechanical damage to the lungs were developed with an increasing trend toward use of noninvasive ventilation techniques such as early nasal CPAP. Large randomized trials such as the COIN (Continuous Positive Airway Pressure or Intubation at Birth) trial5 and the Surfactant Positive Airway Pressure and Pulse Oximetry Randomised Trial (SUPPORT)6 have demonstrated that early use of nasal CPAP is a safe and efficacious alternative to intubation and prophylactic surfactant administration. However, these trials did not show a significant reduction in BPD. The lack of a reduction in the overall incidence of BPD after surfactant administration is likely owing to a reduction in mortality, but it could also be due to the need for surfactant administration with a period of endotracheal intubation and exposure to barotrauma. Thus, attempts to evolve surfactant therapy into a minimally invasive technique that can be used while the infant is breathing spontaneously were initiated. Attempts at aerosolizing surfactant or administering it via an LMA have indicated that these methods are potentially feasible. However, the delivery of surfactant to the alveoli is highly unreliable, and aerosolization of surfactant is still a technical challenge owing to the particle size and the small airways of preterm neonates.45 The thin catheter technique appears to be safer because it allows an infant to maintain spontaneous breathing and ensures administration of surfactant into the trachea in reasonable amounts. This technique might have an equal appeal in resource-rich and resource-poor settings. However, it requires patience and skill. Despite being minimally invasive, the technique still involves the use of a laryngoscope and a maneuver to visualize the vocal cords in a relatively awake infant, which might be perceived as equally traumatic, especially in hands of untrained individuals. One of the major issues in mastering this skill will be achieving success while avoiding the need for sedatives and analgesics. Thus, other opportunities to keep infants comfortable during this time need to be identified. Furthermore, the application of different surfactant types and volumes using this technique needs to be assessed. The amount of surfactant lost and the need for repeated administration of surfactant owing to loss during the procedure also needs careful attention. The learning curve described by Kribs et al13,30,37,38 is a perfect example of the understanding and realization of the challenges one might face while attempting this approach. Overall, this meta-narrative review comprehensively summarizes the methodologic details, effectiveness, and safety of the different methods of surfactant administration while maintaining spontaneous breathing. However, the RCTs were limited in their description of the individual methods and included small samples. Observational studies37,38 had larger samples but they were not looking at the specific question of thin catheter instillation vs intubation as a method of surfactant administration. The choice of surfactant also differed between the studies, thus affecting generalizability. In addition, none of the studies evaluated early childhood neurodevelopmental outcomes. Further, large RCTs are required to assess the neonatal and childhood outcomes of infants treated with early stabilization by CPAP followed by selective surfactant administration by thin catheter compared with those of infants treated with intubation as the method of surfactant administration. Accepted for Publication: May 27, 2014. Corresponding Author: Prakesh S. Shah, MSc, MD, FRCPC, Department of Paediatrics, Mount Sinai Hospital, Ste 19-231F, 600 University Ave, Toronto, ON M5G 1X5, Canada (pshah@mtsinai.on.ca). 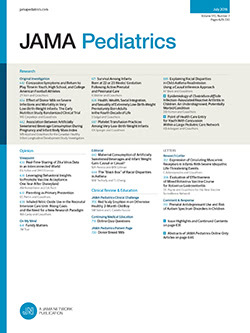 Published Online: August 4, 2014. doi:10.1001/jamapediatrics.2014.1148. Author Contributions: Drs More and Shah had full access to all the data in the study and take responsibility for the integrity of the data and the accuracy of the data analysis. Acquisition, analysis, or interpretation of data: Sakhuja, Shah. Drafting of the manuscript: More, Sakhuja. Critical revision of the manuscript for important intellectual content: Sakhuja, Shah. Funding/Support: Dr Shah is the recipient of an Applied Research Chair Award in Reproductive and Child Health Services and Policy Research from the Canadian Institutes of Health Research to conduct research projects involving maternal and child health. Additional Information: This study is registered with the PROSPERO International Prospective Register of Systematic Reviews (http://www.crd.york.ac.uk/PROSPERO/). Identifier: CRD42013004455. Additional Contributions: Wolfgang Göpel, MD, provided additional data for inclusion in this review from his study. Elizabeth Uleryk, BA, MLS, Hospital for Sick Children, helped in conducting searches for this project. Ruth Warre, PhD, from the Maternal-Infant Care Research Centre, Mount Sinai Hospital, provided editorial support. The Maternal-Infant Care Research Centre is supported by the Ministry of Health and Long-term Care, Ontario, Canada.